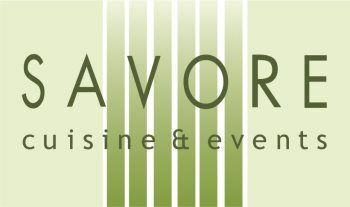 Richard Lauter is President and Chef de Cuisine at Savore. He is a dynamic event coordinator and oversees all aspects of the corporation. After his training at Spago Beverly Hills, Richard started catering privately in 1998. His client list, which was once a select group of Los Angeles foodies, has now grown into an extensive though exclusive clientele, including many of the city’s most sought after celebrities, movie and television studios, and corporations. Erez Levy became fascinated with food and cooking as a child in his native Israel, where his grandmother was a passionate home cook. After moving to Los Angeles, Erez spent four years at Spago Beverly Hills, training under Chefs Lee Hefter and Wolfgang Puck, honing his skills executing fine dinning events and various award ceremonies; Erez’s organizational talent helped him coordinated the opening of the Restaurant at the W Hotel Westwood and he went on to run the kitchen as Executive Sous Chef. As Executive Chef of Savore, Erez specializes in food that has style as well as substance. He draws on his extensive culinary background and the experiences of living on four different continents to flavor and execute complex gourmet sit-down dinners, tasting menus, thematic buffets and food station events. Born in London and educated in France, Daniel Elkins, brings his vast experience and wide culinary background to Savore’s fine dining events. Receiving his culinary degree with honors at the famed culinary institute Qeurcy-Perigord, he launched his career at the Michelin-starred restaurant Le Gindreau in the southwest region of France. He continued his career working for chefs Joel Garault at the Michelin-starred La Coupole at Hotel Mirabeau in Monte Carlo, and in 1998 Daniel arrived in Los Angeles to work as Chef-de-Partie under chefs Wolfgang Puck and Lee Hefter at Spago in Beverly Hills. Always wanting to explore new cuisines, he has also worked at the Nuevo Latino restaurant Mojo when the W Hotel first opened in Los Angeles, and assisted the opening of the restaurant Ortolon in Los Angeles under chef Christophe Éme.